Arrival at Cochin International Airport / Ernakulam Railway station, you will be transferred to your hotel. Sightseeing – the Chinese fishing nets, the St. Francis Church, Mattanchery palace (closed on Friday ) and the Jewish synagogue (closed on all Saturdays an Jewish holidays and any day if announced), the oldest living synagogue in the world. And a boating in Cochin Lake will give you a panoramic view of Cochin City; the rest of the evening time is fee for leisure. 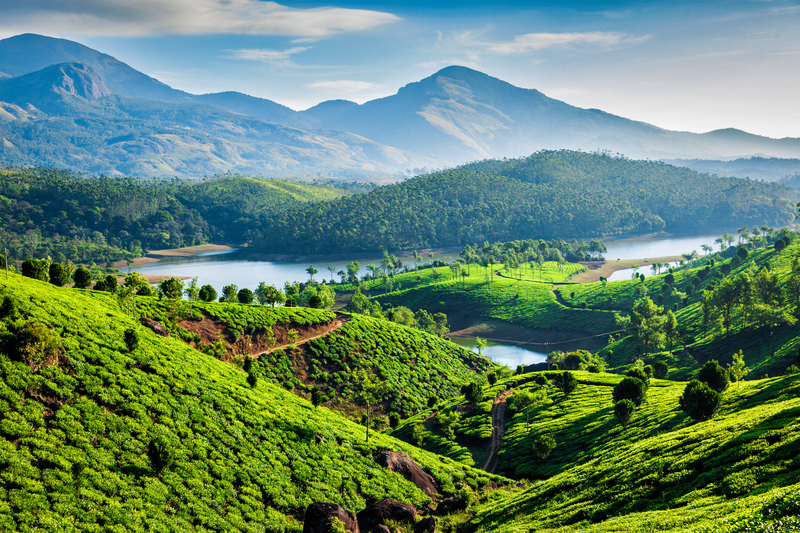 This morning proceeds on a drive through the picturesque countryside of Munnar, a popular gateway retreat during the British Raj. Surrounded by lush green tea estates and situated at the confluence of three mountain streams, this picturesque hill station boasts of exotic flora and fauna. On arrival check into your hotel. Evening visit to Munnar town and overnight stay at the hotel. Today after breakfast visit Pothamedu which offers you an excellent view of the tea, coffee and cardamom plantations and famous for the breath-taking scenery it is also an ideal place for trekking and long mountain walks. Also visit Devikulam this tranquil hill station offers you a rare experience with its velvet lawns, with the cool mountain air. You can also visit Rajamala where you can spot Nilgiri Thar (mountain goat) then the Echo point where the nature reproduces your sound. Evening back to hotel and overnight stay at Munnar. Morning after breakfast checkout from the hotel and proceed to Thekkady which is 100km from Munnar. After a relaxed morning drive from the land of tea plantations into the heart of the spice hills in Thekkady. The rest of the afternoon is free to enjoy a walk through the bustling spice market of Kumili village in Thekkady. After breakfast from hotel proceed to Kodaikanal. On arrival check in to the hotel, evening at leisure and overnight stay. After breakfast proceed for sightseeing – Visit Coakers walk, green valley view, visit Kodai Lake, Golf Club, Pillars rock, Upper lake view Mogar Point, Devils Kitchen Evening back to hotel and overnight stay. After breakfast check out and proceed to Coimbatore Airport / Railway station for onward journey. Click on the below button for details.